A few minutes past two o’clock in the evening of Wednesday, the 6th instant, the Dover Castle left Glin [that should read Limerick] for Tarbert, with between 30 and 40 persons on board, including some of the Glin police. When she reached the pool, she took a large brig and a schooner in tow, which she took as far as Grass Island. She then continued her course, and when about three miles west of Ring Moylan quay, a thick fog came like a wall upon her, so that it was impossible to see half the length of the deck. Captain White immediately dropped anchor, and was obliged to remain so. The fog continuing all night and the next day. About two o’clock on Thursday, there being no appearance of the fog clearing off, and several persons on board having eaten nothing since Wednesday morning, two women fainted, and the circumstance having been communicated to the captain, he immediately ordered the steward to open a bag of flour, and served it out in large buckets to the women, who, in a short time, had large cakes made, and baked them for the passengers. At half-past four o’clock the fog began to clear, and at five the steamer weighed anchor, and reached Kilrush in safety. A steamer called the Clarence served on the Shannon estuary in the 1830s. There are different accounts of when she left the Shannon. Here is an attempt at resolving the problem. According to the Clydebuilt database of ships on www.clydesite.co.uk, a paddle steamer called the Clarence was built in 1827 and “launched on” by Robert Napier of Govan. A note to the entry says that this was presumably the same vessel as that listed for Denny. 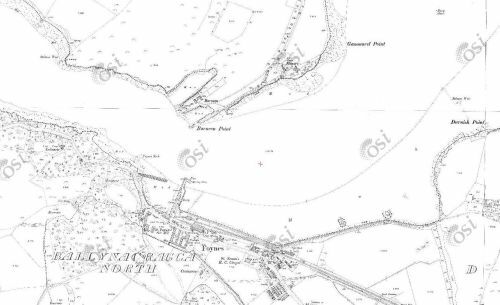 The Denny entry says that a 70-ton wooden paddle steamer called the Clarence was “launched on” in 1827 by William Denny and A McLachlan of Dumbarton for R Napier. Its owners are listed as R Napier and, from 1829, “Inland Steam Nav Co, Limerick”; it is said to have run between Limerick and Clare Castle on the River Shannon between 1829 and 1840. Its 45hp beam engine was supplied by Robert Napier & Sons and its first owner was Robert Napier of Glasgow; it served Glasgow, Greenock and Helensburgh. It is said to have been owned by the Carlisle Canal Company (The Carlisle and Annan Steam Navigation Company) from 1839 and used for passenger tendering and for towing between Annan Water-Foot and Port Carlisle. Its dimensions in 1839 are given as 96.9 x 15.1 x 8.0 ft. It went on fire in 1846 and, after repair, was used on the Eastham Ferry service on the Mersey. The Clydeships site does not mention any service in Ireland. Trade must have been bad, for in 1833 she was back on the Clyde working from Gareloch. He agrees that Clarence was a wooden paddle steamer built in Dumbarton; he gives her dimensions as 92 ft by 16 ft, with a single-expansion steam engine; he says she was broken up around the 1840s. Malcolm McRonald, in his invaluable The Irish Boats Volume 1 Liverpool to Dublin [Tempus Publishing Limited, Stroud 2005], says that the City of Dublin Steam Packet Company operated the Mona on the Shannon estuary in 1829 and the Kingstown in 1830, then abandoned the estuary later in 1830 and resumed it in 1832 [the Kingstown operated on the estuary until at least the end of November 1830 and was there in April 1831]. 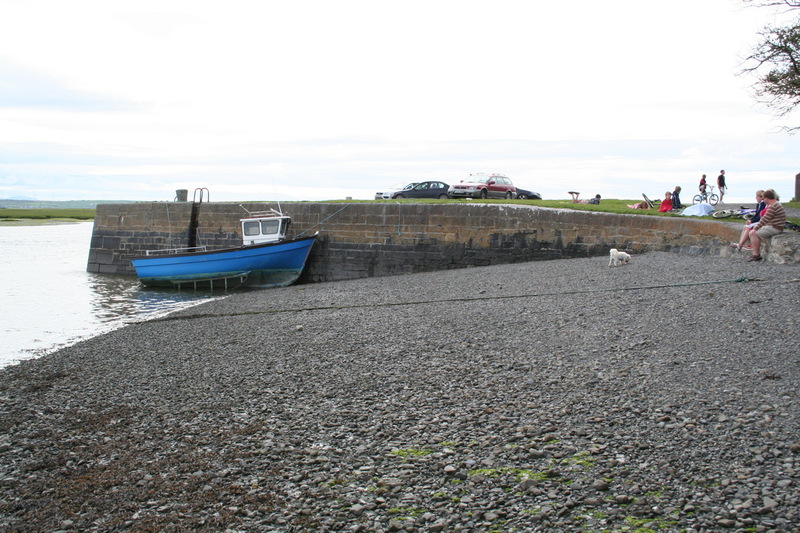 The service was resumed, McRonald says, “using the chartered Clyde steamer Clarence“, which also operated there in 1833 and 1834. In the fleet lists, McRonald shows the Clarence as having been 96′ 10″ X 15′ 2″ X 8′ 0″, 70 gross tons, made of wood, with a 45hp condensing steam engine. She was built, he says, in 1827 by James Lang of Dumbarton, for Robert Napier of Glasgow, who also provided the engines. She was chartered to the City of Dublin Steam Packet Company from 1832 to 1839, then sold to the Carlisle Canal Co. The accounts by McNeill and McRonald suggest that there was a single steamer called the Clarence, which moved to the Shannon in 1829 [McNeill] or 1832 [McRonald], then to the Clyde in 1833 [McNeill] or 1835 [McRonald], then back to the Shannon in 1837 before being sold to the Carlisle Canal Company in 1838 or 1839 [McRonald]. McRonald does note, however, that the Clarence was advertised as running on the Shannon in 1840. Steamers did move between stations and owners or operators, and could thus serve in two areas in the same year. However, I think that the evidence of the Clarence‘s activity on the Shannon is strong enough to show that there must have been two steamers with that name: one which started on the Clyde and was bought by the Carlisle Canal Company in 1839, the other serving on the Shannon until 1841. McNeill says that the Clarence was back on the Clyde in 1833. 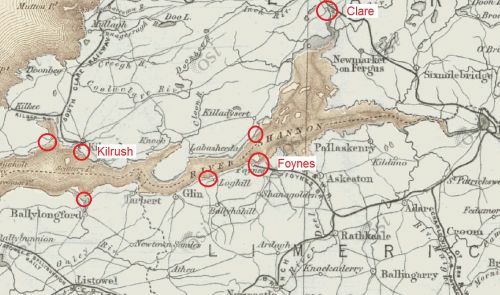 The Morning Post of 27 August 1833 quoted the Limerick Chronicle of 21 August 1833, which said that the Clarence had carried Captain Brown’s company of the 28th Regiment from Limerick to Kilrush on the previous day; it had also carried some detachments to the forts of Tarbert and Carrig Island. There are similar reports for July and September. 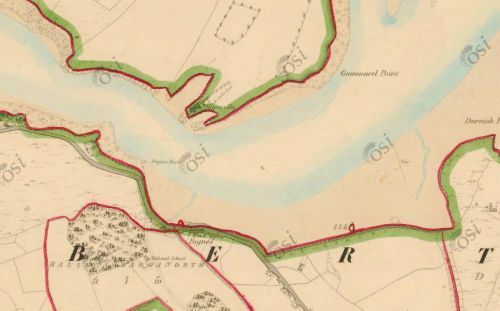 McRonald says that the Clarence operated on the Clyde between 1835 and 1837. Yet she is shown operating on the Shannon in City of Dublin Steam Packet Company ads for June, July, August and October of 1835, for every month in 1836 and for every month in 1837. To judge by the local newspapers, it was in 1839, not 1838, that Carlisle acquired a Clarence steamer. The Carlisle Journal of 12 January 1839 said that the canal company and the two steam companies had purchased a steamer called Clarence from Robert Napier of Glasgow: 96′ X 16′ X 8′ depth of hold, with a 45 hp engine and very handsome cabins, being “fitted up entirely for passengers”, although she was intended to tow lighters too. She was having an overhaul and a new boiler and was expected in Carlisle in two or three weeks. On 23 February 1839 the Carlisle Patriot carried an ad seeking a master for the Clarence; it seems that Thomas Maling got the job, as the Patriot named him as master in its report, on 20 April 1839, of a collision involving the Clarence. On 1 July 1839 she took fifty gentlemen — the Managing Directors of the Carlisle and Newcastle Railway, the Commissioners of the Nith Navigation, the members of the two Carlisle and Liverpool steam navigation companies, all invited by the Commissioners of the Carlisle Canal Company — on a voyage of inspection of the buoyage of the Solway. Dinner was provided by Mr Gray of the Coffee House but, after the meal, the toasts and the speeches, several of the gentlemen were seasick on the way home. The voyage was reported in the Ayr Advertiser, or West Country Journal on 4 July 1839 and in the Carlisle Journal on 13 July 1839. The ads appeared in many Irish newspapers and the series ran until 13 March 1841 when it appeared in the Warder and Dublin Weekly Mail. The ads were not updated to reflect seasonal changes in the estuary steamers’ sailings, but a paragraph about the service from Limerick to the town of Clare [now Clarecastle, near Ennis] was dropped in 1840. That presumably signified the ending of the service, but the Clarence continued to be listed amongst the estuary steamers until the ad’s final appearance in March 1841. Up to December 1840, the City of Dublin Steam Packet Company ran its own series of ads, promoting its Irish Sea as well as its inland services, and listing its vessels. The list included the Clarence and the Kingstown amongst those “Plying on the Shannon”, for instance in the ad in the Dublin Weekly Herald of 12 December 1840. That ad does not seem to have been used in 1841. The company also advertised in local newspapers: in 1839 the Clarence was mentioned in ads in the Clare Journal, and Ennis Advertiser on 2 May, 2 September, 7 October and 16 December. The same paper mentioned the Clarence in news reports on 30 May 1839 and 7 May 1840. In 1841 the City of Dublin Steam Packet Company bought the Dover Castle from a rival operator on the Shannon estuary; its new-built iron steamer Erin go Bragh also joined the estuary fleet. The Clarence and the Kingstown seem to have left the estuary service at or around that time, the Clarence going first: the company’s ad in the Limerick Reporter of 9 March 1841 mentions the Kingstown and the Garryowen but not the Clarence. By 11 May 1841, ads in the same paper listed the Garryowen and the Erin go Bragh; the Kingstown was no longer mentioned. I have not been able to find any information about the history of the Clarence before it came to the Shannon estuary or after it left the estuary service. However, because there is so much evidence that a Clarence was still in service on the estuary after a Clarence was bought by the Carlisle Canal Company, I cannot accept that the two Clarences were the same vessel. I believe that there must have been a Shannon Clarence as well as a Clyde/Carlisle Clarence. The newspapers referred to here were found on the British Newspaper Archive, a service is owned and run by Findmypast Newspaper Archive Limited in partnership with the British Library. steamer towing lumber boats 8 hours. Source: Railway Commissioners second report Appendix B No 6. … on the Shannon Estuary, the second most interesting coast of Clare (the inland coast is the most interesting, the north-west coast the least). Includes nice pics of the Scattery battery. 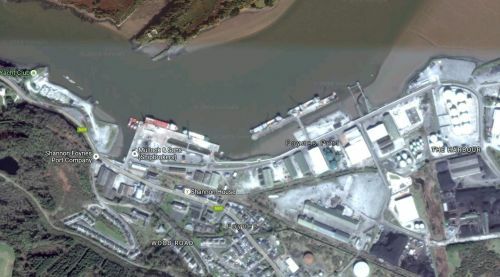 Read about the draft Strategic Integrated Framework Plan (SIFP) for the Shannon Estuary here. You can comment on it up to 15 February 2013.